Today in our BB Advent calendar we reveal your first chance to win gorgeous goodies. To be entered into the giveaway all you have to do, is follow us on Instagram, ‘regram’ today’s image and tag us in it with @brasserieblanc & #bbadvent and you may soon be the recipient of these beautiful Limited Edition Charity Christmas cards! This Christmas we are proud to be supporting homeless charity Shelter through the sale of Christmas cards featuring stunning photography by Jill Mead, who has shot several of our seasonal food photography collections. We wanted to turn these gorgeous images into something that everyone can enjoy so what better way than to create these festive cards and support a charity that helps millions of people who are struggling with inadequate housing or homelessness, campaigning to make it more affordable so one day everyone can have a home. 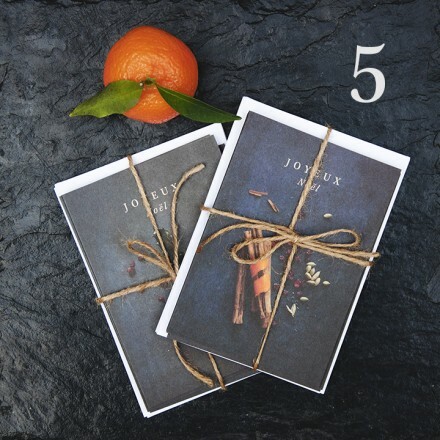 If you aren’t lucky enough to win, but would like a pack they are available in all our our brasseries to purchase for just £5.00 for a pack of six cards, with two lovely festive designs. Don’t foget that availability is strictly limited so do pop in to purchase your pack today and support the work that this amazing charity undertakes. All profits from the sale of our cards will be donated to Shelter and are the perfect card for foodies who appreciate something a little bit different. Don’t forget to join us by posting pics of any of your festive activities, whether you’re going ice skating or roaming a Christmas market. Be sure to tag us using the #bbadvent for your chance to be entered into a weekly prize draw to win some exciting prizes including some of our beautifully designed bespoke Christmas crackers, our gorgeous charity Christmas cards, and Brasserie Blanc gift cards to be spent in the New Year.